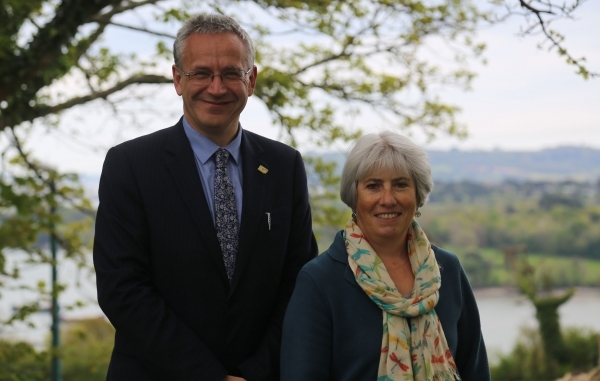 The Trust Board of the recently formed South East Cornwall Multi Academy Regional Trust is delighted to announce that Mr Dan Buckley has been appointed to the role of permanent CEO. The unanimous decision was made after a robust appointments procedure which involved a representative from the Department for Education as well as all of the Directors of the Trust and the Head Teachers, Governors and Student Councils from the six SMART schools (Liskeard, Looe and Saltash secondaries and Dobwalls, Landulph and Trewidland primaries). Speaking after the appointment, the Chair of the Trust Board, Mrs Kate Waghorn, said, ‘Dan demonstrated his extensive experience over a wide range of educational based projects which he has undertaken in a variety of contexts over a number of years.’ She added, ‘The Trust Board is looking forward to working closely with Dan to bring alive the vision, values and ethos of SMART for the benefit of the young people in South East Cornwall’. A Teaching Awards National winner, Dan’s twenty six years in education have seen him undertake a number of prestigious roles both in the UK and internationally, including in the USA and Australia. Dan has led large scale school improvement projects with primary and secondary schools as part of his work as International Director of Research and Development with Cambridge Education. He has also had experience of working as a Deputy Head Teacher at two large comprehensive schools in the South West and has served on several national and international advisory committees reporting to government ministers and secretaries of state when required. In 2007, whilst working for Cambridge Education, Dan became one of the founding members of Education Impact, a global consultancy organisation whose members are recruited to take on some of the most challenging problems in education across the world. Being part of this network has already given students and staff at saltash.net and Landulph a wealth of opportunities. More recently, representatives from the wider group of schools now in SMART were able to travel to London to attend the BETT technology show and present their ideas to the Romanian Ambassador. When asked to describe his vision for the development of SMART, Dan replied, ‘It is based on my lifelong commitment to empowering young people and equipping them with the skills they need to be successful learners, confident individuals and responsible global citizens. We wrote into the vision for SMART that it should strive to serve the needs of ALL children in South East Cornwall because the collaborative, high quality support it will provide should be the right of all children, regardless of their starting point or the school they happen to attend.’ He went on to say, ’It has been a privilege to be part of the MAT since its inception and I am very excited about leading it on a permanent basis’. Dan takes up his new post on May 1st alongside the newly appointed Chief Financial Officer for SMART, Mrs Jo Lumbard. Together they will be part of SMART’s Central Business Unit which will be based at Liskeard School and Community College.